Chelsea forward Eden Hazard has named Kevin De Bruyne and Radja Nainggolan as the two Belgian players he’d love to see seal transfers to Stamford Bridge. The 27-year-old sat down for a chat with Copa 90 in the video below, and was asked which of his international team-mates he’d want to play alongside for Chelsea. Hazard’s first response was De Bruyne, only to be told to pick again as the Manchester City star has already played for the club before being let go back in the 2013/14 season. Roma midfielder Nainggolan was named next by Hazard, with the tough-tackling star showing himself to be one of the finest in Europe in his position in recent seasons. Chelsea fans would surely agree that either of those would be superb buys for the Blues, even if a tad unrealistic, particularly De Bruyne due to him now playing for one of their biggest rivals and establishing himself as one of their most important players. 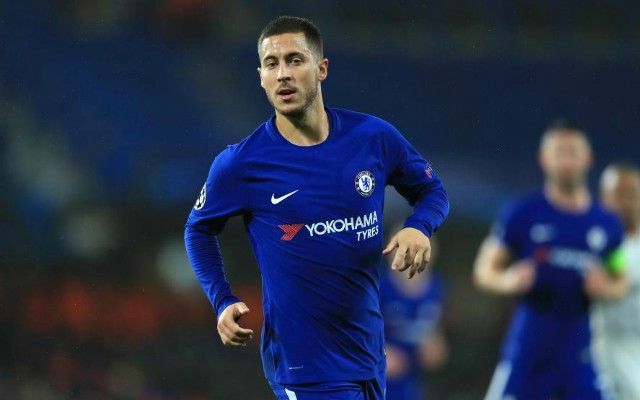 Hazard also discussed Belgium’s World Cup clash with England this summer and his love and admiration for the legendary Zinedine Zidane, regarded as one of the finest players of all time and now manager of Real Madrid.